It is becoming more and more evident that the future of Agile lies in large companies and scaled approaches. 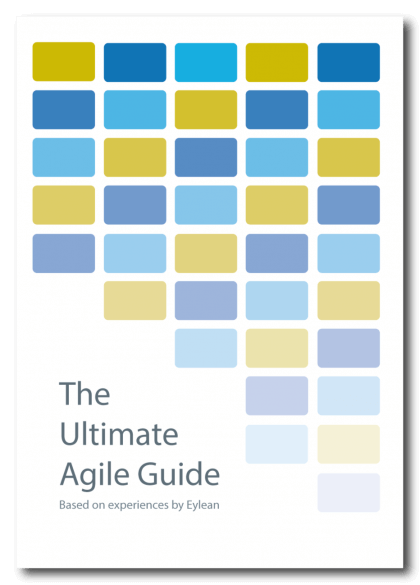 It may be hard to believe at first, but the data of Agile usage in 2015 proves this is where the methodology is going next. One of the most popular ways to scale Agile today is Scrum of Scrums. And while many companies have adopted this practice already, we thought it might be interesting for others to know just how exactly it works. Scrum of Scrums has been originally defined by Jeff Sutherland and is designed to deliver working software of all teams to the Definition of Done at the end of the Sprint. To make sure this happens, the Scrum of Scrums Master is held accountable and has to be able to ensure that all the processes works. But before getting into the details, let us step back to the beginning. The original Agile speaks of small team and its management and when we think of a large organization we usually have a team of a few hundreds or even a few thousand people. Naturally, the first thought may be that having a standup or one project board for all of those people will be nearly impossible, luckily the Scrum of Scrums approach gives a way to work around that. Instead of looking at the organization as a one big team, Scrum of Scrums asks to divide it into small teams of up to 10 people based on their function and product features. This way, we are no longer looking at a room of a few hundred people and have small manageable teams instead. The traditional Scrum roles of Product Owner, Scrum Master and others are retained in every single team and all teams plan and complete their work independently from each other relying on the Scrum methodology. To coordinate the overall vision between the teams, a new meeting by the name of Scrum of Scrums is introduced. It is held every day after the daily standups and one member per team is required to attend and represent. The flow of this meeting is similar to a daily standup, just instead of presenting on what you have personally worked on and are planning to do next, the delegates are representing their teams progress. The Scrum of Scrums Master coordinates this meeting and decides where the project should go next, thus giving direction for individual teams and making sure they stay on track. So the idea of this approach is simple – it scales down the organization into small teams and then adds a second level meeting to coordinate the overall process and vision. While this sounds fairly simple and straightforward on paper, companies tend to run in quite a few problems after first starting to implement the approach. It takes time to find the right groove and learn how to coordinate all the teams. However, to make it easier, there are a few tricks to put you on the right track. To make sure teams understand each other and the responsibilities it is good to have the same key roles in all of the teams. Depending on your project, it may be Product Owner, Coach, Architect or something else. Making sure to have the same key roles in all the teams will create clarity and easy structure to follow, eliminating most of the novelty confusion. Another tip, especially for while you are still new with the method, is to schedule all the teams sprints to start and end at the same time. Teams might be able to do more or less depending on their velocity, but having the iterations aligned with allow for easier planning and predictable releases right off the bat. Lastly, remember that you can still continue to scale upwards when needed. This is especially true for large products or companies when the Scrum of Scrums still has more than 10 people in attendance and is becoming long and ineffective. Instead, divide this meeting into a 2 or more Scrum of Scrums and add a third level of a meeting that would contain representatives from each of the second level Scrum of Scrums. This will improve productivity and allow for easier management of the project. The Scrum of Scrums is quite a simple way to scale Agile in your organization and take advantage of its benefits. But as with any scaling approach, first you should make sure that is right for you and then look into the best practices to ensure you stay on track.